How do I love thee? Let me count the ways… I love the hand-crank sewing machine, fountain pens and candle-lamp; I love the simple perfection of the stick that is the rimu nostepinne. And, it turns out, I love the typewriter. Proper manual typewriters, that is. None of this pansy give-me-electricity-or-give-me-death stuff. 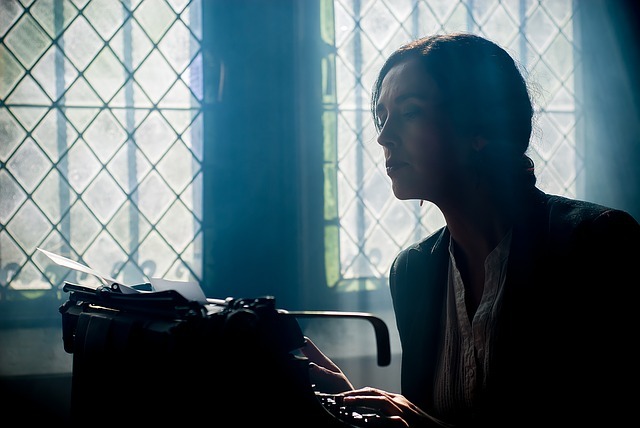 The whole point of the typewriter nowadays is the freedom it gives you: freedom from electricity, software upgrades (or crashes), printers, digital mass surveillance, illegible handwriting, planned obsolescence and blue-light-emitting screens – to name just a few. There’s also a discussion of different makes and models of typewriters, with mentions of the people who use/d them. Agatha Christie and George Orwell used Remingtons, as did George Bernard Shaw and Margaret Mitchell. e.e. cummings used a Smith-Corona portable (with, one is tempted to speculate, a broken shift). Nick Cave uses an Olivetti; as does Cormac McCarthy, who cannily sold his old one for over a quarter of a million dollars and then replaced it for under $20. Ho Chi Minh used a typewriter known as a Hermes Baby, which doesn’t exactly fit with the revolutionary image. I myself have a powder-blue Brother De Luxe ultraportable typewriter, which weighs a smidgen over five kilos in its case. It is relatively young, having rolled off the production line in Nagoya in February 1969, and is still in very good working condition. A few days ago I took the outer cladding off to give it a good clean, but that was all it needed, besides perhaps a new ribbon in the near future. I didn’t pick it apart further, because a) I wasn’t entirely confident of my ability to put it back together properly, and b) whoever put those screws in wasn’t messing around (and I have a twisted screwdriver to prove it). My desk, mid-operation. Note the convenient disassembly diagram – which may be for another typewriter – and the extracted fluff to the right. Nonetheless, there is something very capable-feeling about being able to take a machine at least partially apart and then successfully put it back together again (with some assistance from a spare pair of hands and the muscles attached to them). All the more so, as I am not naturally mechanically minded. All I found inside was some gunge and fluff – unlike others who, according to Polt, have found everything from a mummified mouse (minus head) to five hundred dollars to a wasps nest. I don’t know whether to be disappointed or relieved. 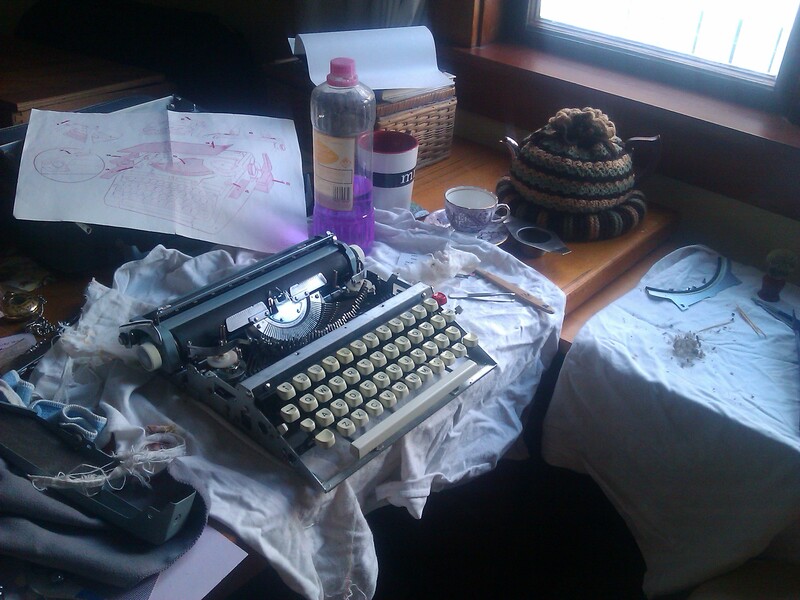 My own plan is to write – or at least draft – a novel or play on this typewriter. Not immediately, since I am at present in the midst of rewriting/edits which are best done on computer, but hopefully in the not too distant future. Because I have at last found another phrase to rival the beauty of piston-filling fountain pen: annotated typescript.